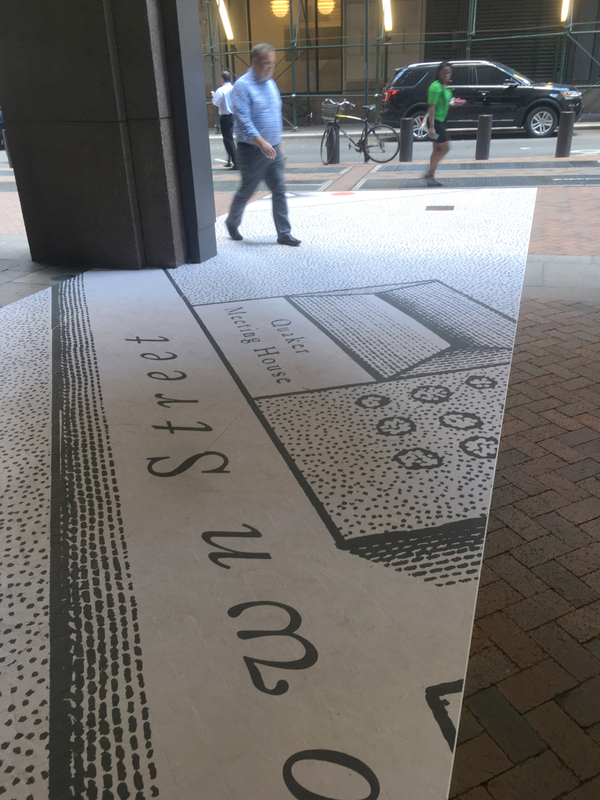 We are happy that our idea for a new temporary paving 'wrap' at 85 Broad Street is moving from mock-up to full plaza installation. Read the article in Untapped Cities here. The paving wrap will be a historic map of lower Manhattan and is part of a larger temporary landscape and architectural installation designed in conjunction with FXCollaborative to reimagine this important and historic place. The installation will be in place for a year before a more permanent plaza renovation.